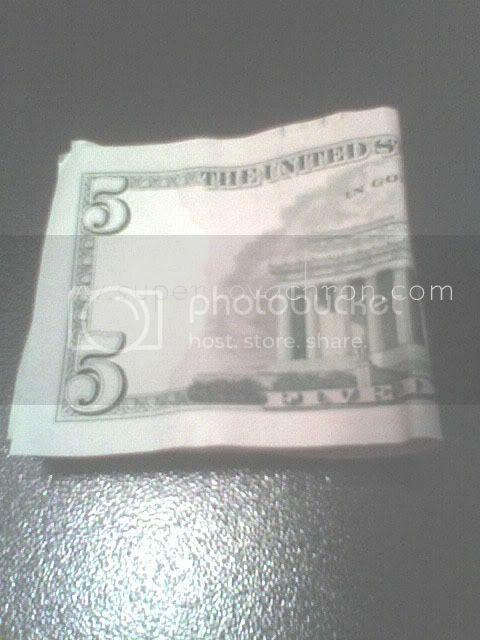 I was talking that 5 dollar bill that I found in the parking lot on our way out. Yup, lucky day for me I suppose. And I was really stunned when I took a step forward and looking on my foot and right there laying a 5 dollar bill. I was so happy, because my two other sister in law were walking ahead of us, as I couldn’t believed it they don’t see it. Well, I guess it’s my lucky day. The first dollar bill I found here in US, anticipating of many more to come, so I can have free dollars in my pocket.